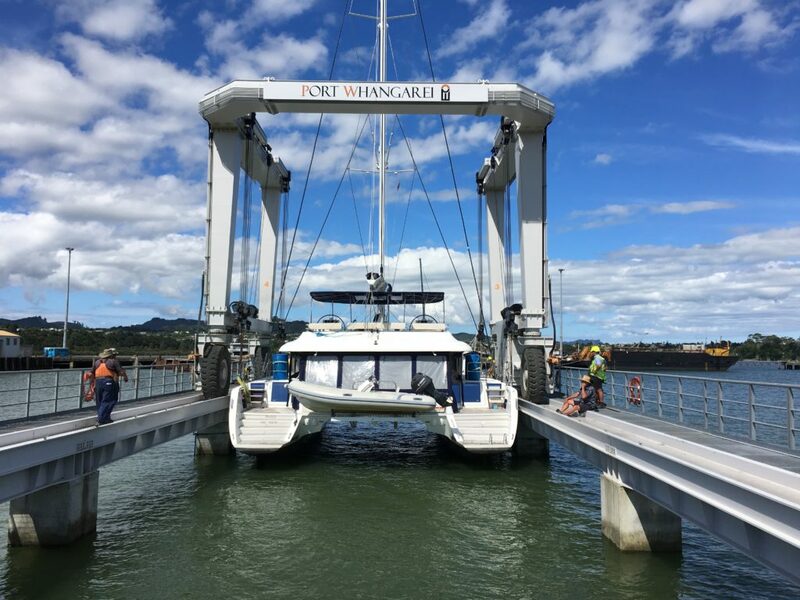 The extra wide dimensions of the 100 tonne travel lift machine at Port Whangarei Marine Centre was recently tested with the record lift of a Lagoon 620 sailing catamaran. It was the first genuine 10 metre vessel to be lifted at the facility and assisted by the skilful helmsmanship of the skipper was completed without a hitch. 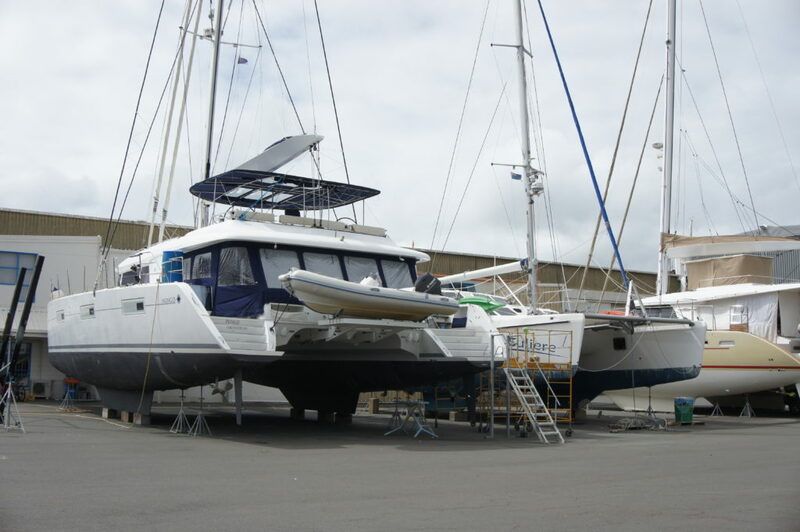 The vessel had difficulty finding other yards able do the haulout and was directed to the Marine Centre which is a specialist multihull boat yard.